Congratulations to Laura Berry 1S, Eve Boyle Elward 1S, Gemma Burke 1R and Alexandra Ichim 2S who qualified for the Leinster Secondary Provincial Final for MATHletes. 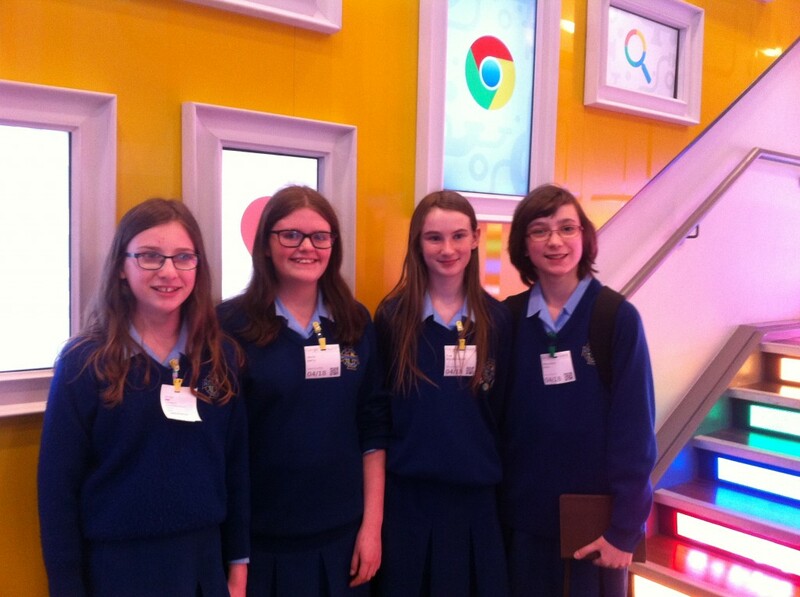 The final took place on Saturday, April 18th from 9:30-2:30 at the Google Headquarters on Barrow Street in Dublin. Well done, girls! We are very proud of your achievements. The MATHletes Challenge is a tournament which aims to transform how we learn and teach maths in Ireland using online resources. While using a competitive model it also engages the students with maths in a meaningful and enjoyable way. The Fifth Years and staff are back from their Art/Home Economics trip to Italy, which took place at the start of the Easter holidays. Accompanied by Ms. McLoughlin, Ms. Parkinson, Mrs. O’Connor Murray, Ms. O’Toole and Miss King, the girls first savoured the delights of Rome including the Spanish Steps, the Pantheon, and the Coliseum. Then on to Sorrento for some serious Home Economics! We visited a cheese farm and also an olive farm where we watched wonderful demonstrations of cheesemaking and olive oil production. We also saw how coffee is produced, how honey is harvested and how to make gelato. We also learned how to make rum babas, a traditional cake of Naples. In between we visited Pompeii in glorious sunshine and learned a lot from our guide Vincenzo, while also having time for some serious dancing in a local nightclub. On two nights we cooked part of our dinner, and on the last evening were shown some Italian dancing. Maryfield returned the favour dancing The Walls of Limerick to the strains of ‘Funiculi, Funicula’ to the bemusement of those at the restaurant!! Up early for a last day and a fantastic return to Rome to see the Sistine Chapel and, an added bonus, St. Peter’s Basilica! Finally off on the bus to the airport where we had great fun trying to make sure we got all the olive oil, marmalade and coffee home in one piece! A great time was had by all and the staff would like to thank the students for their good humour, and excellent behaviour on the trip. Also special thanks to Ms. McAuley and Mrs. Draper who put a lot of work into the organisation of the trip. Big congratulations to Ksenija Ustimenko of Fifth Year who won a special merit award in the senior section of the Texaco Art Competition. 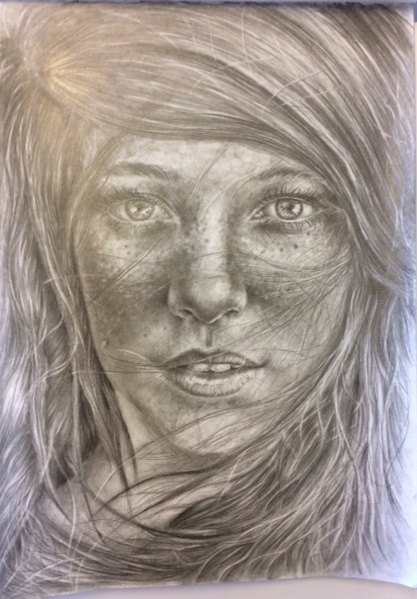 Her stunning picture, done in pencil, entitled “Breeze” is a fabulous portrait which shows great skill and sensitivity.